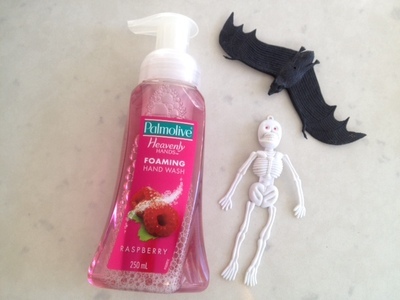 Kids will love creating and using this spooky Halloween hand wash. We used a bat and a skeleton and some fun foaming hand gel but you could try any plastic Halloween novelties that will squeeze through the top of your hand wash bottle. Remove the label from the bottle. 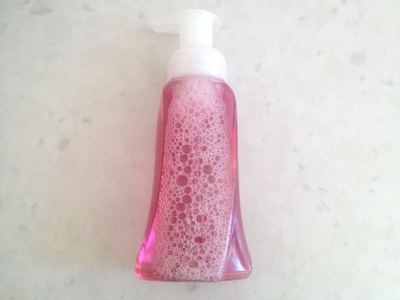 You might need to soak it off in some warm soapy water. 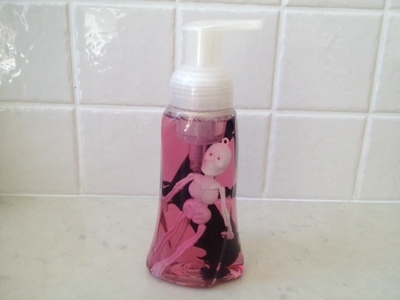 Open the hand wash bottle. 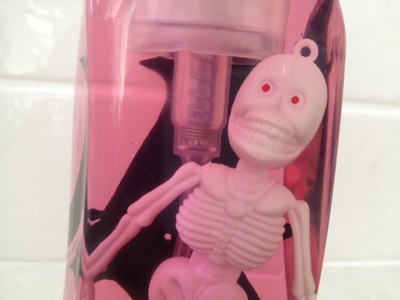 Push the plastic novelty items through the neck of the bottle. Fit the pump top back on. 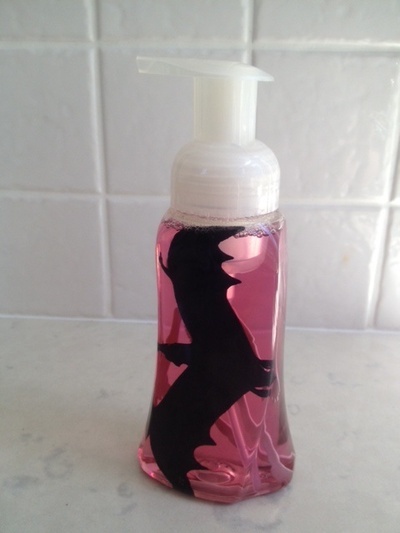 Your Halloween hand wash is now ready to use!